John Shinkowsky, CPP, CII, is the founder of Shinkowsky Investigations. 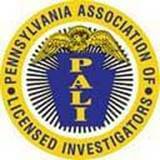 Shinkowsky Investigations is a licensed Pennsylvania Private Investigation Agency founded in 2002. 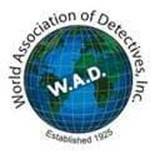 Our private investigation company is headquartered in Harrisburg, PA, with professional investigators and process servers in central Pennsylvania, including York, Lancaster, Lebanon, and Carlisle, PA, among other areas of the Commonwealth. John Shinkowsky attended the Municipal Police Academy at Harrisburg Area Community College in Harrisburg, PA. He graduated at the top of his academy class, receiving awards for Academic Excellence and Highest Overall Average (including academic, physical fitness, and firearms). John began his law enforcement career as a patrol officer with the Tower City Police Department in Schuylkill County, PA. John reached the rank of Sergeant with Tower City P.D. John then accepted a position with the Elizabethville Police Department in Dauphin County, PA. John was subsequently promoted to Chief of Police and served in that position for ten years. He was an active member of the Dauphin County Accident Reconstruction Team, the DUI Task Force, and the Police Communications Advisory Committee. As Chief of Police, John’s leadership resulted in the police department being awarded a Governor’s Highway Safety Award, an International Association of Chiefs of Police Chiefs Challenge Award, National Safety Belt Honor Roll, and a Traffic Safety Education Award. During his tenure as Chief, John received various acknowledgments by the Dauphin County District Attorney’s Office and the Pennsylvania State Police. John has also received the Distinguished Police Service Award. John has investigated thousands of criminal incidents during his law enforcement career. John has been awarded life membership in both the Pennsylvania Chiefs of Police Association and the International Association of Chiefs of Police. 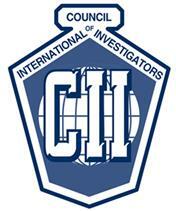 He is also a charter member of the United States Association of Professional Investigators. John is experienced in providing security services for a variety of situations. 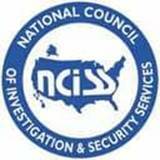 He has supervised armed security officers during high threat security details including events targeted by domestic terrorists. John has supervised security at several sites deemed valuable to the security of the United States, including serving as Project Manager for armed security at one such site. John also has provided executive protection to corporate executives and celebrities. John has completed the Advanced Course on the Reid Technique of Interviewing and Interrogation as well as the Scientific Content Analysis (SCAN) course. John also has been trained in Executive Protection by the United States Secret Service. John is Board Certified in Security Management, having obtained the Certified Protection Professional (CPP) designation. Throughout the world, the CPP designation is acknowledged as the security profession’s highest recognition of practitioners. It is evidence that an individual is “Board Certified in Security Management”. The CPP is awarded based upon experience and passage of an examination that provides an objective measure of an individual’s broad-based knowledge and competency in security management. Ongoing professional development is required in order to maintain the credential. The CPP is administered by ASIS International, the preeminent international organization for security professionals, with 32,000 members worldwide. John has been a presenter of various training courses to law enforcement, security, and related agencies personnel. He was a certified Chemical Aerosol Sprays instructor and a Pennsylvania Department of Transportation Crash Reporting instructor. He has instructed Accident Investigation at the Public Safety Center of Harrisburg Area Community College. John also provided numerous in-service training programs to law enforcement and security personnel.